Visit the Union buildings in Pretoria CBD and take a picture with Madiba, the statue was erected on 16 December 2013 and is 9 meters tall weighing 3.5 tons and you can also have a picnic on the state lawns. 2. Visit Tswaing meteorite crater situated in Ditsong, north of Pretoria and close to Soshanguve. It is one of four impact craters in the world and is currently on the tentative list as a World Heritage site. 3. For adventure seekers, why not go for a tandem skydive at Pretoria Skydiving School at Wonderboom Airport in Pretoria North. 4. Visit the capital’s very own winelands at Kievits Kroon Country Estate and Spa situated in Montana Park in Pretoria North. Following a relaxing day of pampering you can enjoy cocktails at the pool with a 5 star lunch or dinner at their signature restaurant Granita. 5. Fun for the whole family can be had at Acrobranch – ziplining and obstacle extreme park. You can also rent mountain bikes to ride around the numerous bicycle tracks of the estate or go for a hike. 6. Visit Pretoria National Botanical Gardens which is one of nine South Africa’s National Botanical Gardens. The garden is located between Pretoria Road and Cussonia Avenue in Silverton, Pretoria East. There is an abundance of plant and bird life in these gardens and a waterfall with two restaurants within the grounds. Please note: you cannot braai at the gardens but you can have a picnic. 7. Visit the largest zoo in South Africa. The Pretoria Zoo also known as The National Zoological Gardens of South Africa, it is also the National Zoo of South Africa. It houses many mammals, reptiles and has the largest inland marine aquarium in the country. Don’t feel like driving? You can now visit the zoo using the Gautrain bus services on weekends. 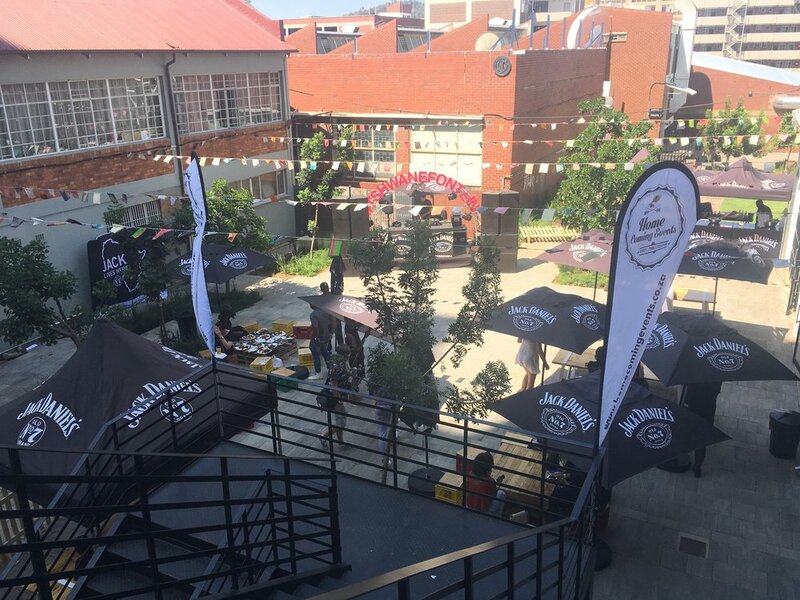 Have some down-time at Market on Main every Saturday from 10:00 to 15:00 or Market at the Sheds that takes place on the last Saturday of every month furthermore, you can also attend Tswanefontein which is hosted at the venue on the last Sunday of the month. 9. Visit Ludwig’s Rose garden close to Pretoria North, located just off the N1 North highway after the Wallmanstahl/Pyramid off-ramp. Ludwig’s is the largest rose grower in South Africa, you can also attend the annual rose show in October every year, purchase roses (as expected) and have lunch at the Spiced Coffee Restaurant. 10. Visit Pretoria’s 1st Casino. Time Square Casino opened on the 1st of April 2017 and is the second largest casino to open in Africa. This casino boasts 85 square meters of restaurants and entertainment spanning over two floors, it also includes 2 000 slot machines and 60 gaming tables. The 8000 seater amphitheatre is still under construction and is located next to the entrance of the casino together with the 18 floor Maslow Time Square Hotel. 11. Have a braai or picnic at Groenkloof Nature Reserve which is located adjacent to the popular Fountains Valley. It was the first game sanctuary in Africa and the reserve is open to day visitors from 05:30 to 19:00 in summer and 07:00 to 18:00 in winter. In addition to the reserve one can take a hike or a cycle on the bike trail and you can take your car for a ‘city safari’ drive to see the wildlife in the area. 12. Freedom Park and Voortrekker monument situated on the ridge of Salvokop, on the outskirts of Pretoria CBD overlooking the Union Buildings. Freedom Park was completed in 2004 and was built in remembrance of all our country’s struggle heroes who fought for our freedom. It is connected by Liberation Avenue to Voortrekker monument which is in close proximity of Freedom Park. What is your favourite place to visit in Pretoria and how many of these places that I’ve mentioned have you been too?